Isn’t an anarchist that adheres to rules like "Time Out" a hypocrite? No culture can maintain true anarchy for even a single generation and still exist. Little kids playing with fire. They better hope they don't get too out of control or us adults will have to give them a spanking. I had trouble reading past the fact that you were on MySpace in 2008. That's so 2005. There are many points in your post that need correction. Quotations will be italicized. I was still somewhat new to calling myself a libertarian and expected to find a lot of common ground. The term "libertarian" is only understood as pro-capitalist, minimal state in the United States and to a lesser extent in Canada. In Europe, where the term originated, and elsewhere, it's used to refer to libertarian socialism. It first began to be appropriated by American conservatives in the 1950s when the Red Scare was underway, but appropriation really took off in the 1970s when neoclassical economists and policymakers needed a "new" term to describe their concept of a "free market". "Libertarian" is derived from the French word "libertaire", first coined by Joseph Déjacque, an early French anarcho-communist. In short, anarchists called themselves libertarians long before you did: 150 years before, actually. I was also completely wrong [...] that an anarchist convention would be fatally disorganized. Anarchists advocate self-management in a stateless, classless society. They're not opposed to organization. What anarchists oppose is illegitimate hierarchy/authority. Anarchists argue that institutions like statism and capitalism each produce coercive hierarchal social relations which intersect with one another. This is done in the spirit of anti-oppression and to counter undue harassment. It's difficult to imagine being transgender and being questioned by strangers on the street as you're walking to the store, for example, as to whether you're male or female (more rudely, of course). It's commendable that others would take such efforts to counter trans* harassment and oppression by respecting the pronouns such people choose to call themselves. I don't agree with how these particular people went about it, but the thought is there. I quickly learned the difference between individual anarchism, the kind I was hoping to hear about, and collective anarchism, which is just ho-hum anti-capitalism, anti-corporation, anti-globalization Marxist opium dreams. Anarchism is wholly a leftist philosophy. Individual anarchism is a major strand. The section you linked to described the difference between Marxist communism and collective anarchism quite clearly. You're very wrong to state, in any case, that anarchism is anti-globalization. The socialist movement has always been focused on co-operation between people across all borders. You don't have to favor capitalism in order to favor globalization--that's an absurd and easily debunked premise. Capitalist liberal democracy is severely limited in terms of its emancipatory potential. I can link you to an excellent critique at your request, as I'm running out of space for this reply. The anarchists were not the least bit shy about talking about these intentions to commit violent crimes. The example with the Italian anarchist is justified. In the first place, breaking the law is not by itself an immoral action, nor is it grounds for moral or ethical judgment. Secondly, these "crimes" are directed towards people who make institutional oppression (through state violence) possible, such as the police. You probably understand this well. Taxes are collected through state violence. The foundation of capitalism--stealing the means of production from the workers--was founded on violence, deception, and other means of coercion. The State incorrectly deems many acts to be criminal to protect its interests, and this is no different. It wants a complacent population that will follow its every order, with a range of free thought, even critical dissenting opinion, to feed the illusion that the governed are free. But free-thought alone doesn't change anything in a positive direction; you need action. The state-sanctioned means of democratic action (e.g. electoral voting) prescribed to the populace are inadequate (since it's purposely limited in the ruler's favor) to accomplish many of the meaningful changes a future egalitarian society would need to emerge out of this one. I understand why radicals would turn to violence. Rightly so. I have also become disillusioned with most "Anarchist" groups. While I disagree with your stereotypical caricatures of Marx, your analysis of these types of groups is accurate. There is a rich Enlightenment intellectual tradition related to some of the ideals proposed in Libertarian Socialism -- few of which seem to be represented by groups such as this. There are many legitimate criticisms of Capitalism, but they are pointless when one cannot articulate any alternatives or rationally debate economics. 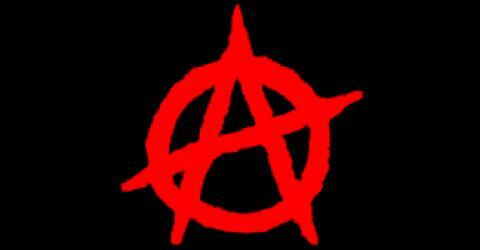 Anarchists tend to be caught up in subversion, which will forever relegate them to the margins of society. Time would be much better spent on theory.